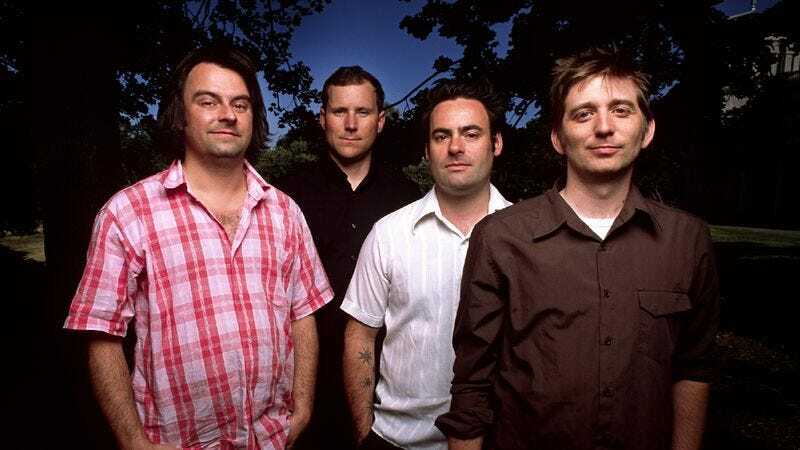 Starting with his stint as the bassist for verbose Canadian punk act Propagandhi, John K. Samson has since been associated with musical long-windedness. Samson himself is a singer-songwriter who never met a verse he couldn’t cram too many words into; his post-Propagandhi project, The Weakerthans, hit a creative and critical peak just as such wordiness was coming into vogue in indie-rock circles, putting Samson in the same league as fellow Canadian Dan Bejar, John Darnielle, Will Sheff, and other musicians who value vocabulary as much as a decent chord structure. But Destroyer and Okkervil River have never delivered anything quite like The Weakerthans’ “Our Retired Explorer (Dines With Michel Foucault In Paris, 1961),” a taut-and-refreshing blast of thesaurus rock where even the title is a delightful mouthful. (Such tracks litter Darnielle’s prolific output; no wonder The Mountain Goats frontman joined Samson onstage to form something of a literate-indie NAFTA at a 2008 Weakerthans show.) “Our Retired Explorer” is such an ideal marriage of brainy lyrical content and dirt-simple power pop that it’s easy to read more density into the song than what actually appears on the lyric sheet. Like the track that precedes it on 2003’s Reconstruction Site, “Plea From A Cat Named Virtute,” the track plays like one side of a difficult conversation, its depth filled in by the space between the lines—gaps occupied on the recording by a rhythm section that barrels ahead like the imagined Antarctic voyager racing across frozen terrain. Details about what the explorer and his philosophizing dining companion actually want from each other are left for the listener to puzzle out, as is the question of whether the whole thing is just a clever stand-in for a harrowing journey of love and loss. One thing’s for certain, though: Learning French from a penguin has never sounded so damn catchy.